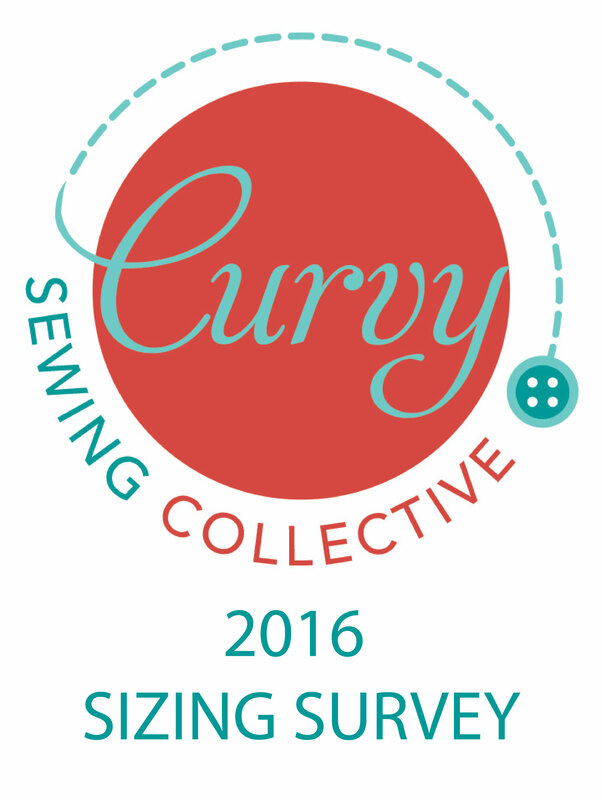 Curvy Sewing Collective Sizing Survey – Take Part! 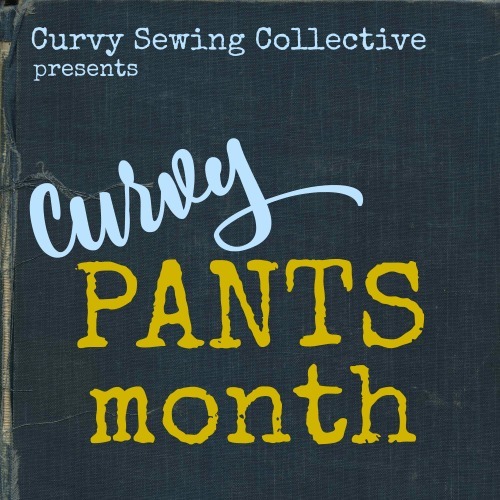 You are here: Home / Polls / Curvy Sewing Collective Sizing Survey – Take Part! **There was a glitch earlier which meant that email addresses weren’t being collected – if you already completed the survey and would like to be included in the giveaway, just make a comment below and your name will be added to the giveaway! Sorry for any confusion. The CSC editors are often approached by people asking us: how many plus size women actually sew? Is it worth it for smaller pattern designers to expand their size range, which often involves a lot of work creating a new block and grading rules? Of course, all of us on here know that we are a thriving community! But it’s hard for many organizations and pattern designers to get hard facts about who’s out there. 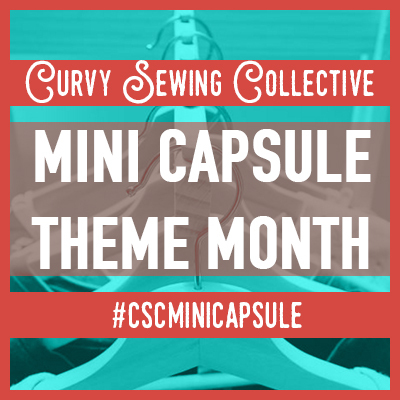 That’s what we decided to hold the first ever Curvy Sewing Collective Sizing Survey. It’s a quick 5 minute survey where we ask you for key measurements and a few questions about adjustments you make, and your sewing habits. 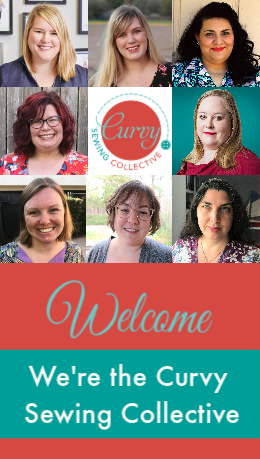 Our objective is to create a really helpful set of data that reflects the plus size sewing community and helps show what a huge potential there is for pattern designers and sewing companies to expand into plus sizes. We hope lots of you will take part to help us achieve this goal – but there’s also a prize of a $20 gift voucher to Cashmerette Patterns that will be given to one randomly chosen participant! All your personal information will be anonymous, but we will aggregate your data and publish the results on the CSC. The poll is open until May 18th 11.59pm EST. Any questions? Ask away below! I loved this survey. I live in the Republic of Panama, where, when I was younger, coomercial patterns were plentiful. Not any more. Thankfully, I make my own, as si design costumes for live theatre. That said, I hope more companies take plus sizing into account. great survey, please add me. Jenny/team: there’s a conversion error in the questions that ask for measurements. 51″ appears as 137 cm (should be 130 cm), as does 54″ (correctly). Filled out the survey and posted my email at the bottom. Did notice the check boxes were a bit off kilter. Good survey, hope the info gathered is helpful. Hi! Two short comments before I take the survey. Great survey, I participated before you changed it to add an email. Hi I participated before the alteration! I enjoyed filling out this form. It must be terribly hard to try and design for all possible body types as commented above. I would like to know more of how you do this. It would be so interesting to see your process. I also could not find an area to put in my information, just my email. I am sure this will be enough if I was lucky enough to win! Keep up the great work. Thank you for the survey. If nothing else it allows me to express my gratitude to the Indie pattern makers who take into consideration of all body shapes. It is so much easier to make a pattern smaller than larger. I normally will purchase a larger size if I can. As a Curvy woman, not always possible. I appreciate all the wonderful information that blogs like this, but I do have one request. I need to find instruction for increasing blouses for a full tummy. I can find full tummy adjustments for pants, for skirts,but I would love to know how to make a Woven blouse fit my bust area and my tummy, without looking like I’m 8 months pregnant. But CSC, thanks for all you do. I agree with you. Nothing more than a passing nod (ie shorten hem) has been given to those of us who, as well as being plus size in circumference, are petite in height. Mind you, the Big 4 have ignored petite sizing for many years now, and Indies rarely address it except in the most perfunctory way – the old shorten hem thing – so I suppose it’s hardly surprising that CSC does the same. Heck, even my height was not selectable on this survey until I pointed that omission out. As patterns get larger in circumference, they get longer all over – even though people themselves stay the same height (and yes, I *know* that certain parts of us larger ladies need more length to go over our curves, but that’s not what I’m talking about.) I for one don’t find an armhole which reaches my waist, or a neckline which could serve as a balconette bra, to be the least bit flattering, nor is it any use to me when pockets are out of reach of my hands. I shall continue to purchase patterns from companies both large and small which *do* acknowledge height difference with something more than the bog-standard ‘lengthen/shorten here’ line – whether that be as actual patterns, in detailed size and adjustment charts, or even – as Emilie from Jalie did for me on the complex Cora pattern – individual advice on the most appropriate points to shorten. I agree. I got fluffy around a small frame is what I call it! Also there is a canyon between plus and regular that I am stuck in!!! I always have to frankenstein together parts of patterns and make lots of changes to make anything work. I’ve had this problem even when I’ve been smaller. I made a Laura Ashley style sheath dress about a decade ago as my first properly tailored project and couldn’t figure out why the darts were in all the wrong place until I hiked the skirt up to my natural waist on a whim. Ohh. I added so many darts along the neckline, front and back, to make it work. Now I’m also in the not quite plus size, except my bust, and it’s a different challenge. If you want people within the five to six foot range to give their height to the nearest inch, you’ve omitted two heights within that range – 5ft and 6ft. I am 5ft tall. I am not ‘under 5ft’ and I am certainly not 5ft 1″, either. I think I’ll select Option 14, whatever that indicates! The intention was it for it to be 5′ and under, and 6′ and over, which I’ve now updated. Gosh, I have no idea what half of those adjustments are! I’m only part way through a Craftsy class on Pattern resizing and I’ve yet to make anything that isn’t either a knit, a loose top or a skirt so I have no idea what sort of adjustments I would need. Being somewhat ‘Hobbitish’ in stature I’d assume I’ll be needing a fair majority of them at some stage or another……. would it matter if I took a stab in the dark and clicked the ones that I’m fairly sure I’ll need?? Ummm, my hip measurement was off the charts. Yes, that is depressing! Great survey, and I hope it helps. Wouldn’t it be a coup to be the company to have the most wanted plus size patterns? Thanks for offering the survey, I hope there are more in the future. Great survey, I completed and submitted the survey. Thanks! Gosh, it was certainly depressing to have my hip measurement be too large even for a survey about plus size people. I’m right there with you! Very sad! Mine was by almost a foot. Thanks for this! I’ve been doing research on other aspects of digital sewing patterns so I am glad to see that others are researching this industry as well. Great survey. I hope pattern designers listen! I want to be entered, too! Thanks for doing this – people can’t know what they’re not told. So glad that you are doing this. There are so many Indie patterns out there that I’d love to try, but can’t. This is a great survey! Thanks! The field is in there now, but I will make sure your name is added manually to the list! I’m another who completed the survey before the correction. Can you please add my name manually too? Done! But no place for info. Have just added it! But I will make sure you are added to the list of people for the giveaway. Would love to participate, but my link is not working. Thanks for your help. I entered my data and hope it really makes a difference!!! Thank you all for doing this!!! The link does not work for the survey. It shouldn’t be a link, it should be a form that you see in the blog post – did you try on your phone or computer? Entered, hope this gets to where it needs to go Good survey though!. How am I entered for the giveaway? I also participated and saw no place for my info. Thanks for letting me vent in the comments section!! I will add you manually to the list! Ditto. No place to enter my info for the giveaway. I have added you manually (and the right field is in the form now). Don’t understand how to access the link. If we participated, there was no place to include our info for the giveaway. Oops – I didn’t catch that and already submitted my form. Mine is the one that says in the comment section “Ask Jenny” plus more details on football shoulders and gorilla arms. Hi Amelia – it shouldn’t be a link, you should see it as an embedded form on the blog. Are you using a computer or phone to access? It won’t work looking at it on Bloglovin’. Thank you, I’m using an iPad I’ve now found how to access the form. Great! Would you mind telling me what you did to be able to access it, so I can help other people who are having the same problem? Hi Jenny, when I subscribed to “comments” the form came up. Sorry for not replying earlier, I’m in Australia and it was the middle of the night. There was no place for me to leave my email address. Plus the check boxes are always misaligned. That’s been updated, but I’ll make sure you’re added manually to the list for the giveaway. Can’t access the link, Jenny. Can you make it easier? Hi Susan – it shouldn’t be a link, you should see it as an embedded form on the blog. Are you using a computer or phone to access? It won’t work looking at it on Bloglovin’.